In the preface to UX Strategy: How to Devise Innovative Digital Products That People Want, Jaime Levy suggests who should read her book: entrepreneurs, product managers, and designers. But other members of creative product teams, such as marketers, content strategists, and copywriters, will get valuable insights from this book. When an urgent “copy-to-the-rescue” project comes across a writer’s desk (or “visual-design-to-the-rescue” for designers), such a project is often a frantic attempt to fix major flaws in the product and the UX strategy work that may or may not have been done. This book helps outline what that strategy work should be. Levy has been practicing UX strategy since 2007, about a year before the term first appeared in print. Today she runs her own agency in Los Angeles and teaches at University of Southern California, and she has funneled much of her teaching skills into this book. She presents a step-by-step approach to coming up with, testing, and designing a successful digital product – that is, a product that consumers want. And, as she describes with examples such as Airbnb, Waze, and Uber, if consumers want the product, then some worthwhile disruption is probably occurring and some money is being made. Well before that happy day occurs, however, UX strategy needs to happen. To arrive at that Big-Picture vision, Levy explains, entrepreneurial product teams can focus on four tenets of UX strategy. The list above admittedly oversimplifies these terms. To get a more complete understanding of how these tenets inform each other and the shape of digital products, read Levy’s book. Her description of these tenets is one of the book’s highlights. Her insights and examples throughout these pages are engaging, sometimes surprising, and stimulating for anyone with an entrepreneurial spirit. A creative permutation of trending buzzwords that were just used by another startup that raised financing (for instance, peer to-peer sharing economies). A laundry list of features! Levy’s humor is based on insight and behavior that she and many others in the design community have witnessed. Who hasn’t been in a situation where certain design tools and approaches are overused, despite their ineffectiveness? Brainstorming sessions, anyone? North Star? Oh yes, Levy mentions that in her top 10 list. Levy has a considerable store of UX strategy experience, and she freely shares many of her own work examples. Even when the outcomes are not exactly positive, such as her confirming for a Hollywood executive that his ecommerce idea will not work, we get to see the process of considering new ideas, testing them, and possibly turning them into worthwhile products. Levy has refined her process into a UX Strategy Toolkit, which she makes available with the book. Entrepreneurial teams can use Levy’s templates to research, test, build, and refine their own products. Perhaps giving out the UX Strategy Toolkit is not, after all, a great favor. To really use this resource and take full advantage of the framework, a product team will have to undertake an exceptional amount of work, collaborate intensely, and be prepared to iterate and pivot quickly. UX strategy is difficult, unpredictable work. Levy’s framework tries to provide the path to happy innovation and disruption, but there are still hundreds of steps to take along the way. “As a UX strategist,” Levy writes, “I am paid to help my clients face dilemmas and chase dreams.” With this book, Levy shares her experience and her process for how the chase can end in success. 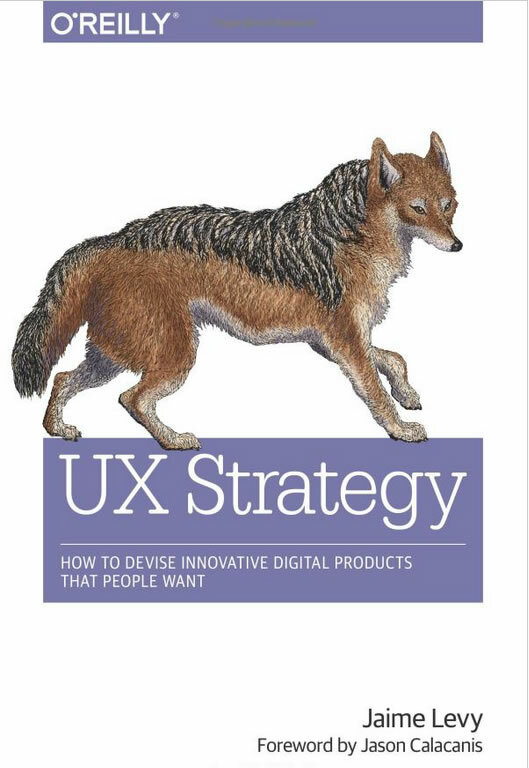 On July 17 at 6 p.m. at Cross Campus in Santa Monica, Jaime Levy will be on hand for a launch party for UX Strategy: How to Devise Innovative Digital Products That People Want. Levy will be answering questions and signing copies of her book. More information is available on Eventbrite.